Trichy or Tiruchirappalli is an ancient city located in the Indian southern state of Tamil Nadu. After Chandigarh and Mysore, Trichy is the third cleanest city in India. Trichy is blessed with beautiful architecture. One can visit Ranganathaswamy Temple, Tiruchirapalli Rock Fort, Ucchi Pillayar Temple, and Kallanai dam. This city is the major engineering equipment manufacturing and fabrication hub in India. It has some of the best colleges in India like Anbil Dharmalingam Agricultural College and Research Institute, Tiruchirappalli branch of Anna University, Indian Institute of Information Technology etc. If you want to get a personal loan in Trichy, you must have a good credit score and sufficient salary. The documents required to get a loan via quick loan app are quite simple. One can get a loan on the same day of application. Such personal loans are paperless and the application process is quicker compared to the traditional bank loans. Personal loan app is getting popular among young professionals due to its fast process. 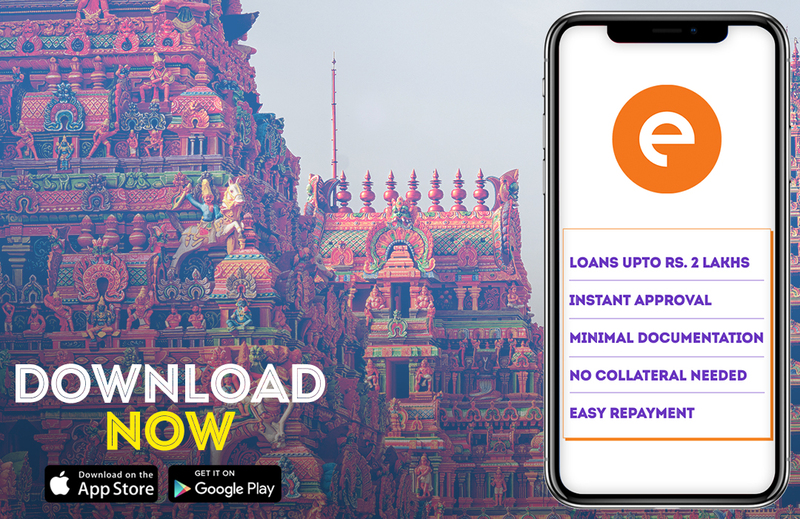 You can apply for a loan from anywhere at any given time as the app is available on the google play store and apple app store 24/7. These are unsecured loans, which means you don’t need to showcase any asset ownership. Quick loan app offers competitive interest rates due to the short tenure. The entire documentation process can be carried on the app itself. The application process via the quick loan app is quite simple. Download the app on your smartphone and create your profile using your social media handles. Enter all your basic information like name, birthdate, address and bank details. The next step is to enter the personal loan information like the amount and the duration of the loan. You can get a loan starting from Rs.10,000 to Rs.1-2 lakhs. The duration can be 15, 30 or 90 days. The next step is to enter your documents. You need to submit your identity, address and income proof to the quick loan app. The valid documents include pan card, aadhar card, passport, utility bills, salary slips, and bank statements. Once you upload all the required documents submit the request to the personal loan app. The app takes some time to verify your loan request. Meanwhile, you can check your loan status on the app itself. Once your loan is approved the amount it then disbursed into your savings bank account. Almost everyone is eligible to apply for a quick loan. One has to be between 23 to 59 years old and a resident of India. One needs to be a salaried employee of a registered company. A working bank account is mandatory. The process of repayment of a loan with quick loan app is quite simple. You can simply deposit a cheque or do a bank transfer to pay back on your due date. The app will send you reminders so that you don’t miss out on your due date.